If you haven’t already noticed, our new website is now live. 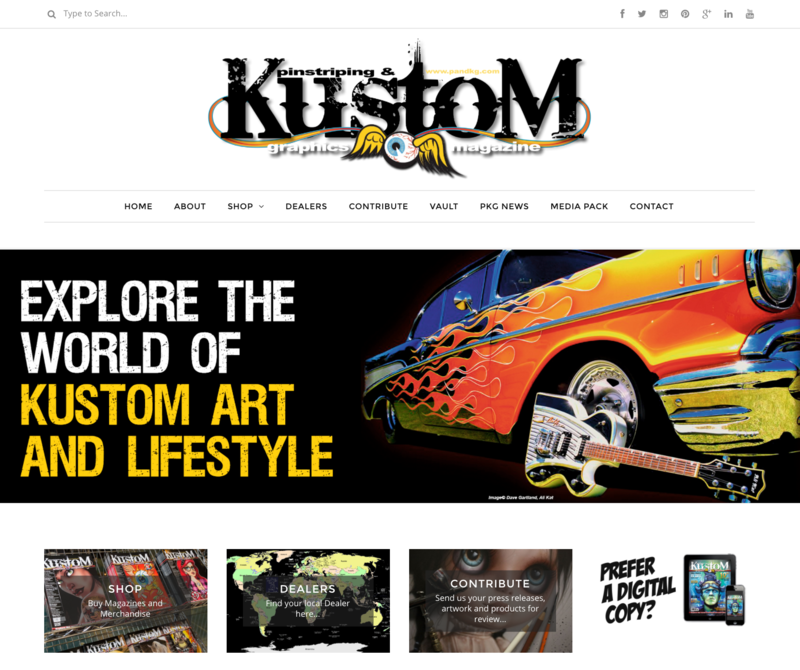 As well as giving you the opportunity to source back issues of the magazine and to buy a choice selection of merchandise, www.pandkg.com is your source of news, views and happenings from across the entire world of Kustom Kulture. You’ll also find info on our dealers, along with how you can contribute towards future editions of Pinstriping & Kustom Graphics Magazine. We hope you enjoy the site and please let us know if you have any suggestions or requests for content!